This lot will come with a random assortment of 30 pins that may or may not be pictured. There will be no duplicate pins and they are all 100% tradable. 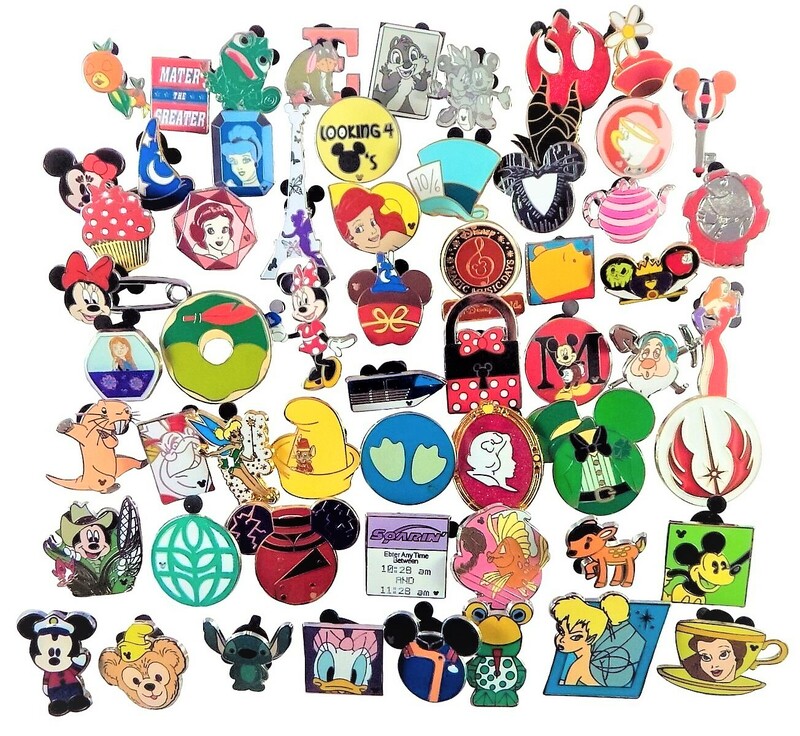 Each pin is individually bagged and comes with the rubber mickey back. They are metal and stamped on the back. These come directly from a Disney licensed manufacturer. They are authentic and 100% tradable. 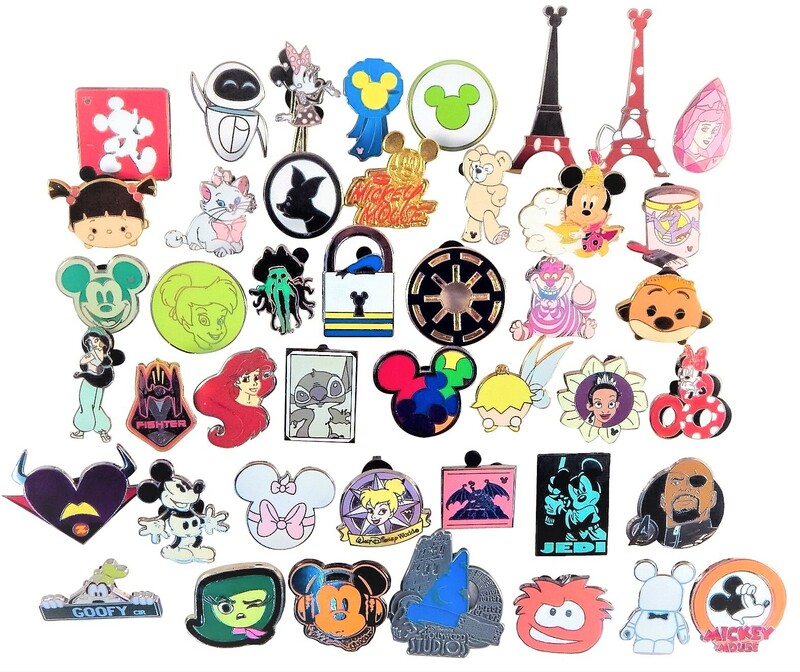 Pin lots will contain no duplicates unless more than one lot is purchased. However, we do try our best to pick assorted bags that appear to have different pins within. 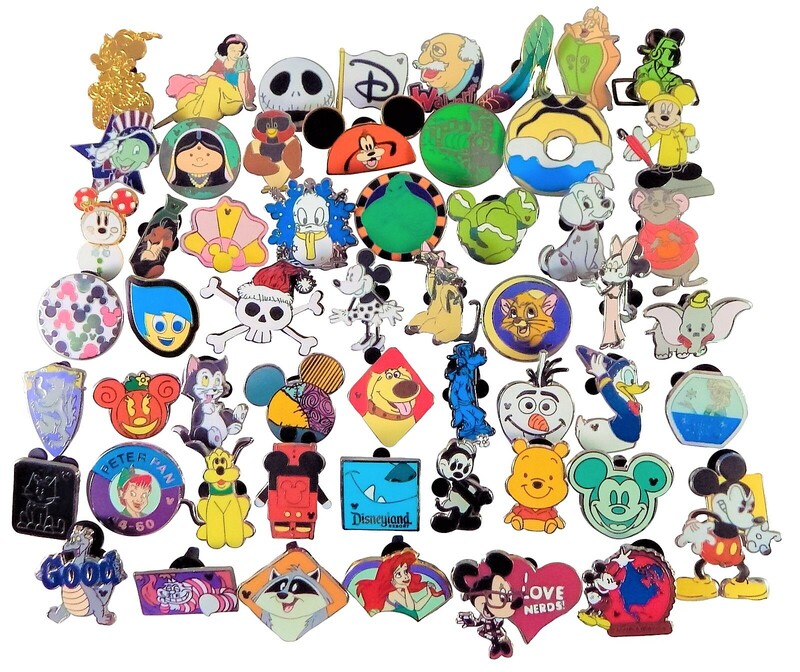 **We are able to ship to Disney Resorts. Net Yourself A Deal is commited to providing our guests with a premium online shopping experience. We strive to provide top quality merchandise with amazing customer serivice. We are a family owned business from Reno, Nevada. We have been serving the online community for well over a decade. Our focus is on our customer satisfaction and this is reflective in our outstanding feedback. We are not happy until you are! Getting your package to you safely and quickly is our top priority. We ship fast, because we know your order is important. We provide tracking numbers on all of our shipments, so you can follow your packages progress to you! We offer hassle free returns. Simply let us know that you need to return your item, and we will take it from there. Our return policy ensures your full satisfaction. We have a 60 day return window, as we want you to feel completely comfortable shopping with us. So go ahead and order your items stress free! Please contact us directly through the eBay contact link with any questions or requests you have on our products. We answer all questions in a timely manner to better assist you in your online purchase. We are here for you!